You may have noticed in my last post that I briefly mentioned that I had moved back down south. I won't go into details on here with you as they are personal, but yes, I am okay now, and am back residing with parents back in Southampton. I thought as a fitting tribute to my adoptive I would give you my top five places to eat, drink and visit. An American sensation swept over Liverpool in the last few years, and saw the opening of several 'Man vs Food' style burger joints. My favourites of these would be Nolita Cantina on Bold Street and Free State Kitchen up by Hope Street. As a massive fan of corn dogs, Nolita is my go to place for these little nibbles of joy - can anyone tell me how to make these myself as they are my numero uno comfort food? FSK has a lovely little garden out the back which is great to enjoy your burger and fresh lemonade in (check out the specials on offer, you won't regret it). TriBeCa is a yummy yum yum pizza place that has two restaurants in the city, one on Berry Street and other on Smithdown Road (most dangerous when you live a quarter of a mile from it). With such a range of toppings you are sure to find something you like, and the best thing is they're all under eight squid! Sticking with the pizza theme is a brilliant alternative to a regular fast food joint; American Pizza Slice also has two restaurants, one in Whitechapel and one in Waterloo, providing slices of American pizza pie for £1.99. Utterly delicious! Next up...drinking! 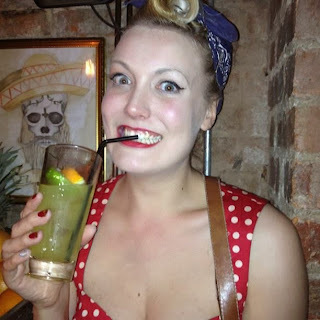 As a cocktail waitress and bartender I spent a lot of time in bars doing 'research' so here are my favourites. This part is most likely going to be very biased by my old boss, the legend that is Danny Murphy, honestly co-owns the best bars in Liverpool; one of them has only just opened so I haven't actually been able to see it, but Jenny's I am coming for you! First up is Aloha, my old second home for eighteen months. It is a provider of blue skies in the grey clouds of northern England, bringing a firm sense of Polynesian paradise to Liverpool. Specialising in rum and tequila the bartenders (best in the biz, dontcha know) will shake you up anything you can dream of whilst the barbacks and waitresses bring the party, often dancing along with the guests. My personal favourites are the Junglebird (rum and Aperol based), the Saturn (gin based) and, for the brave, a Trinidad Sour (Angostura Bitters and Whiskey based...yes...be brave). My other two favourite Murphy bars are Berry & Rye and Some Place. Both of these places are going to take a little digging to find. If you walk along Berry Street, almost to the end at the Chinese Arch, you'll see a black door. Give it a little knock and (if you've got the right door, if not you'll look like a right ninny) you shall be transported back to a prohibition style speakeasy fresh from the back streets of New York, Chicago or Hollywoodland. Classic whiskey and gin cocktails are served with elegance and class, often accompanied by the gentle tinkling of the ivories or the lull of a blues guitar. To find Some Place (only open Thursday-Sunday, sorry) you need to walk down Seel Street until you see a little green light - no doubt powered by Green Fairy dust - follow the lights up the stairs and you will find a tiny little bar serving the best absinthe in town. Absinthe? Oh no! I couldn't possibly drink that! Well why not? Be a little adventurous! Like a mojito? Try the Absinthe Frappé - Scott knew as soon as I came up those stairs that is what I'd be ordering! I mentioned Maya above and now I'll tell you why. Tequila is a beautiful liquor. Tequila is not just that scary shot you do at the bar that makes you feel sick. For beginners, try one of their flavoured Frozen Margaritas and for the advanced go for a Tommy's Magaritas (its with agave syrup rather than triple sec). They also have an amazing selection of cocktails designed in-house for a range of tastes. Again, be adventurous and put down the vodka! 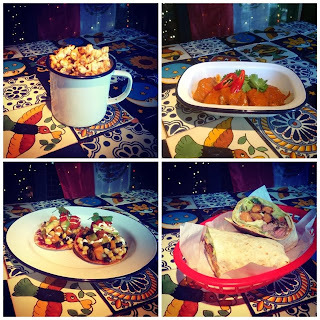 Sticking with tequila, El Bandito is another hideaway underneath Santa Chupitos. It is the perfect place to finish off your night as it stays open until 5am, and sometimes even 6am! It's a great place for a last beer and shot before getting those chips and hitting the hay. But be warned, it is tiny. And I mean tiny. Be prepared to get squished if you do venture down there! I do love me some tequila! One last bar I'll mention is Salt Dog Slims. More American influence is felt in these walls from the décor to the drinks to the hot dogs you can munch on to line your stomach. Yes. They sell hot dogs. The most famous thing Salt Dogs is probably known for - apart from their eating contests - is their steins of Dortmunder beer. One pint is just not enough in this bar! I suppose I am killing two birds with one stone with these first two suggestions. Lark Lane and Sefton Park are right next to each other but deserve their own separate nominations. 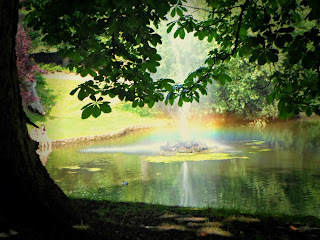 Sefton Park is a famous and historical open space which is amazing all throughout the year. Many a day was spent there this summer, basking in the glorious heat by the lakes. It is equally beautiful in autumn and winter (try to catch the big fireworks display on Bonfire Night if you can! ), and provides the perfect amble with a rest stop at the cafe. Or, a rest stop at one of Lark Lanes numerous restaurants and pubs perhaps? (That was a smooth link, wasn't it?) I tried to make it to most of these venues at some point in my Liverpool life - for a while I was going to live just off of it - and its variety caters for all. Bier does a great selection of beer, you have to get a patty from Raggas Caribbean restaurant, and Archer's ice cream parlour does gin and tonic flavoured sorbet! What more could you ask for?! 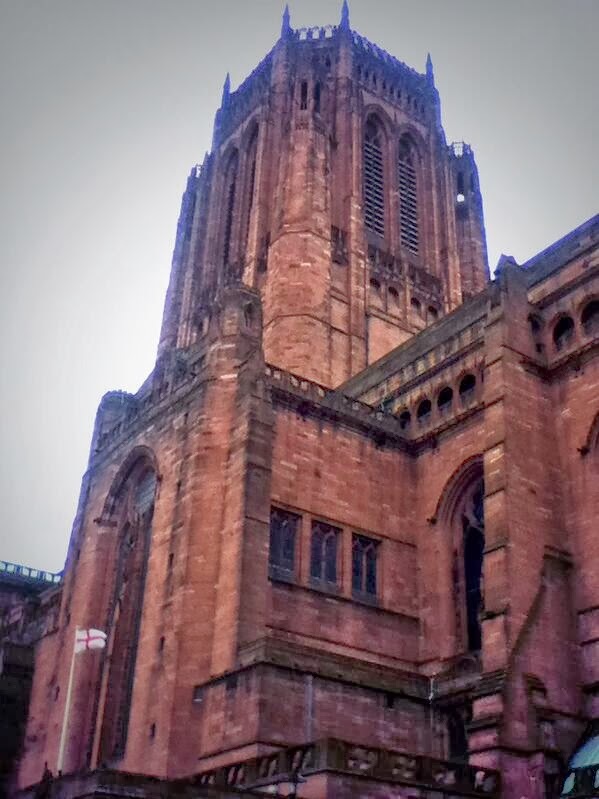 Liverpool is famous for having two cathedrals, one Catholic and one Anglican. Both are worth a visit for their architecture but if I had to choose one I would say the Anglican one, mainly because its more my thing, plus is surrounded by the most amazing cemetery. I kinda like cemeteries, don't judge me, blame the archaeologist in me! It's a Gothic wonder and the biggest in the world? Is that right? Someone correct me please. I might as well stick with cemeteries at this point and guide you towards another. It's nothing special but I went past it nearly everyday for three years so it stuck in my heart a little. Toxteth Cemetery on Smithdown Road has some form of beautiful peace about it, and I often found myself just wandering around there looking at the gravestones and imagining what the people were like. I was lucky enough to be friends with the people at lived in the house at the entrance - boy did we have some parties! 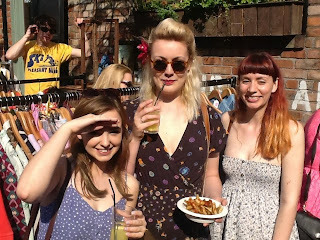 I used to go to a lot of parties with the 'Graveyard House' people and one of our favourite haunts was the Kazimier. Apart from the bars I mentioned above, this is my favourite venue in Liverpool. The team there put on great gigs and nights in the main venue, but also convert their garden space in the summer to provide an open air bar and general hang out. I believe they have done another conversion for the winter, but I haven't been able to see it for myself yet. 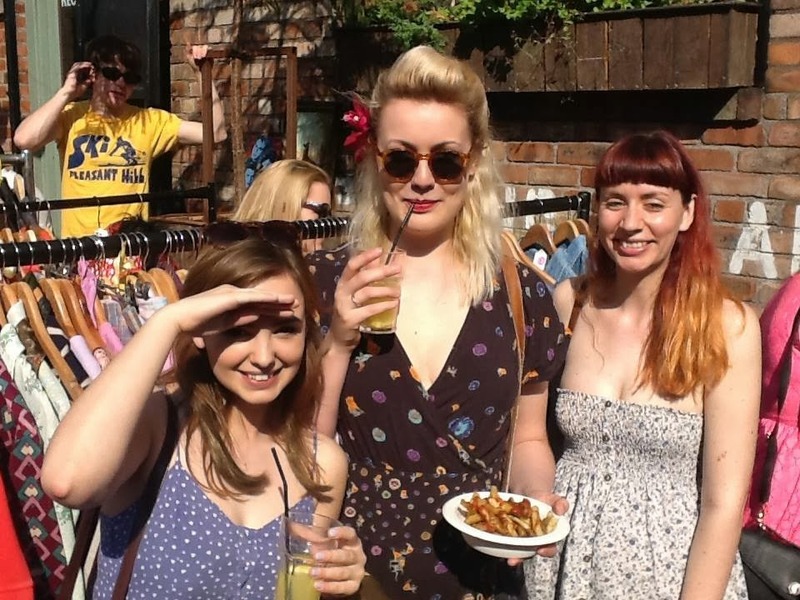 From vintage fairs to crazy and off the wall nights out, the Kazimer is the place to have you mind blown. Oh...and they have an absinthe bar too! So that's it from me! These are my favourite places in Liverpool. It has been a fabulous three years and I look forward to visiting it again! If you have enjoyed this post why not head over to my Facebook page for more updates? 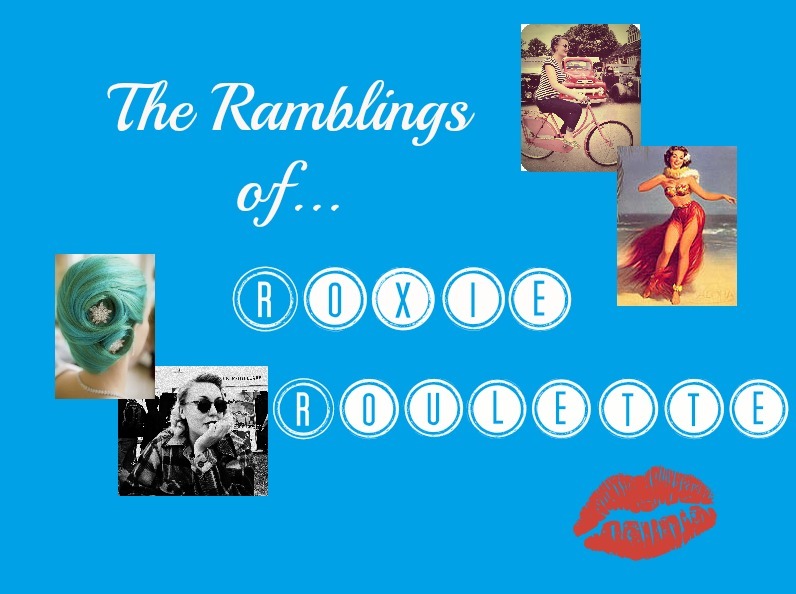 really enjoyed reading your blog this afternoon!! I will be back! !